Mum and Dad are taking Spot on holiday, where he gets to play in the sand, swim in the ocean and even makes a new friend! 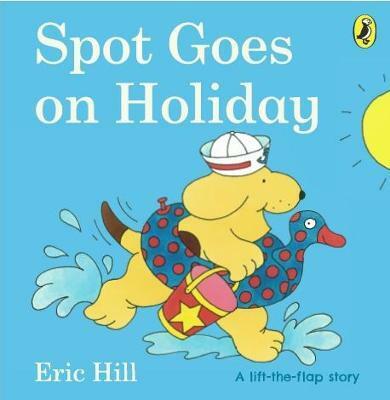 Toddlers will love joining Spot at the beach in this classic picture book. With fun flaps to train fine motor skills and an adventure to encourage curiosity and exploration, this is great for early learning and play. If you loved this, try Where's Spot?, Spot Goes to School and Spot Goes to the Farm for more lift-the-flap fun!